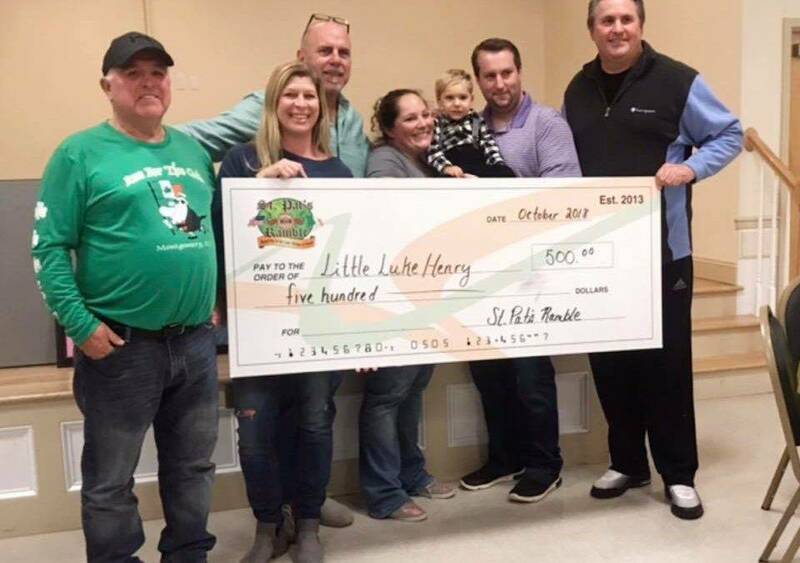 The St. Pat’s Ramble was happy to stand alongside Mayor Dennis Leahy and Kiwanis President Guy Cusumano to present a check today to the cutest little boy, Luke Henry?. Luke was diagnosed with Pontocerebellar Hypoplasia, a genetically acquired Nero-muscular disorder. It was so nice to see the community supporting Luke and his family. Please help us continue to send prayers to this little fighter!